A wide selection of natural and healthy products that take care of the health and beauty of your hands and body. Black clay is recommended for skin skin that suffers from inflammation, pimples, blackheads, as well as allergic rashes. The cream is highly concentrated, naturally rich and contains anti-oxidants. The invigorating scent is believed to arouse desire and passion. 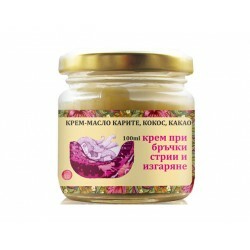 Anti-aging butter contains essence of rose and rose hip. 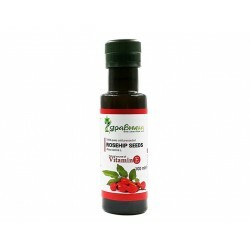 Recommended for pregnant women or after childbirth, or anyone on a weight loss program. Contains a complex of floral essences, Dead Sea minerals and Vitamins A, E and C. Sensuously scented. Handmade, nourishing body lotion - Enriched with Coconut, Shea and Cocoa Organic Oil + Apricot Kernel Oil and Jasmine Extract. Handmade, nourishing body lotion - Enriched with Coconut, Shea and Cocoa Organic Oils + Organic oils from Sweet Orange and Apricot Kernels. Handmade, nourishing body lotion - Enriched with organic coconut, shea and cocoa butter, ylang-ylang, lavender and petigrain. Castor oil is one of the most popular oils for healing, stopping hair loss and stimulating hair growth. Grape seed oil helps strengthen hair, fight dandruff, prevent aging of the skin, against pimples and acne. Enriched with Dead Sea minerals for a dramatic improvement in the skin?s appearance and to prevent the development of spongy skin. Cream with shea butter, coconut oil, cocoa butter and argan oil helps intensely hydrate, soften, nourish and regenerate the skin. Cream of shea butter, coconut oil and cocoa butter helps hydrating, softening, nourishing and increasing skin elasticity. 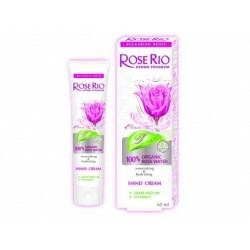 Suitable for maintaining normal, mixed, sensitive skin as well as for faint hair. Effective on dry and faded skin. The combination of cocoa and coconut oil, marigold and wheat germ oil help to quickly tan and hydrate the skin. Contains natural UV filters. The hand cream reduces existing pigmentation and prevents the appearance of new ones. At the same time it regulates the need to moisturize the skin. Cellu-STOP Cream of the Swiss company Medosan contains some of the most important, effective and safe ingredients to remove cellulite. Gelee Royale is a miraculous product containing moisturizing ingredients that act in depth and improve the structure of your skin. Avocado oil is suitable for dry, mature skin because of its ability to quickly feed it and restore its elasticity. The gel can be used for travel, work, places like hospitals, public transport, restaurants, doctors' offices, at home, where hygiene is needed. 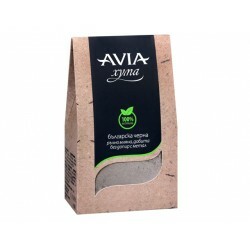 Protective hand cream "Alzeda-Green garden" strengthens cells and promotes skin elasticity. Hydrates and prevents moisture loss. 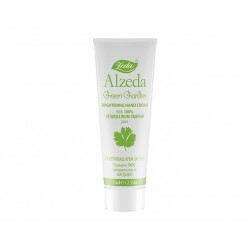 Brightening hand cream "Alzeda-Green garden" refreshes and brightens skin. The cream smooth skin color by removing freckles from the skin. 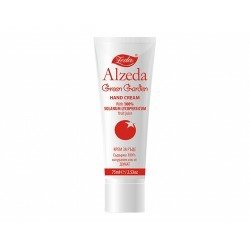 Regenerating hand cream "Alzeda-Green garden" tones connective tissue. The cream stimulates circulation and soothes irritated, dry and rough skin. Our universal hands and body cream nourishes, hydrates and moisturizes the body skin in depth, thus giving it softness and smoothness. Our Hydration body oil has a toning effect on the skin. It stimulates the production of new cells, nourishes and protects the skin. 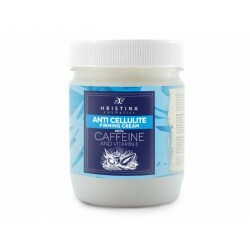 Anti-cellulite body oil is extremely effective. It improves blood circulation, has diuretic effect and tightens the skin and the muscles. Rose body oil soothes and harmonizes skin and mind. They have an antiseptic effect, which has an excellent effect on the dry and safe skin. Lemon balm body oil has a moisturizing effect thanks to which its fast serum absorbing properties are instantly felt. 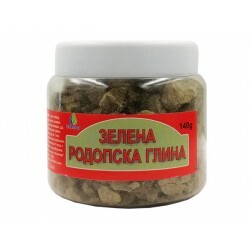 Green Rhodope clay is a natural product that has a beneficial effect on skin problems, eczema, hair loss, arthritis, gout and others. 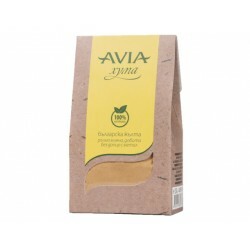 Bulgarian Yellow clay is rich in oxygen, iron and potassium. It is suitable for Dry skin, cellulite. It has a firming effect on the loose skin. Powerful antiseptic, antibacterial, drying agent. 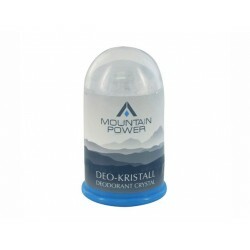 Quickly cleanses the dullness and completely eliminates the severe secretory odors of the body. 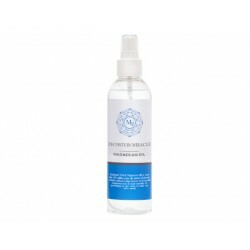 Magnesium Spray - Zehstein protects cells, maintains normal muscle function, relieves stress and tension, energizes. Magnesium oil - spray protects cells, maintains normal muscle function, relieves stress and tension, energizes. Body balm quickly penetrates the skin by regenerating, tightening, softening and preventing premature aging. Botanical Shake is an all-body fragrance for all skin types, including sensitive skin. It contains unrefined natural ingredients. Keep Calm is easy to apply liquid body oil that is absorbed in depth and absorbed into the skin. It creates an instant feeling of softness and comfort. Body milk Snake Active has a lifting, revitalizing and hydrating effect. Apply after shower, on clean and dry skin. Body Milk, retarding the aging process of the skin. Suitable for women and men and all skin types. Particularly suitable for mature skin. Hydrating and nourishing care for dry and delicate skin of your hands. 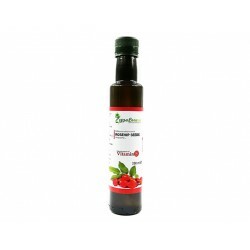 It contains organic rose water, vitamin E and grape seed oil. 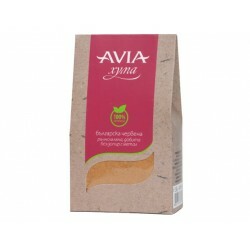 Moisturizes and soothes the skin, making it soft, smooth, supple with sweet aroma of cherry cheese cake. Body peeling - coconut milk eliminates the top layer of dead cells and leaves a feeling of silky soft, clean and new - younger skin. 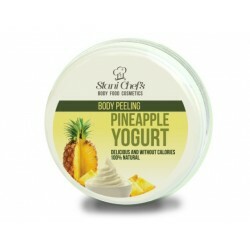 Body peeling - strawberry mousse, creamy, slightly foaming is based on sea salts and oils. Smoothes, polishes and energizes. Suitable for all skin types, especially dry skin, you need to exfoliate regularly. Creamy, slightly foaming is based on sea salts and oils. Suitable for all skin types. The formula is enriched with grape seed oil with regenerating and skin-soothing effect. Dessert for your skin and body. Creamy, slightly foaming is based on sea salts and oils. Smoothes, polishes and energizes. Suitable for all skin types, especially dry skin, you need to exfoliate regularly. Ultra-rich grape seed oil and shea butter. Eliminates the top layer of dead cells and leaves a feeling of silky soft, clean and new - younger skin. Smoothes, polishes and energizes. Suitable for dry skin. The formula is enriched with almond oil and sesame, which also moisturize and nourish. Well combined composition based on caffeine and vitamin E stimulates the breakdown of fat cells, tightens and smoothes the skin. 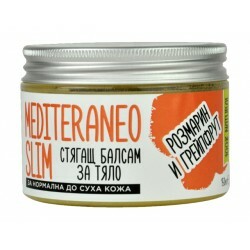 The body cream with vitamins makes the skin smooth, soft and velvety. It is designed for all skin types and especially for nourishing dry and sensitive skin. A special formula enriched with acacia extract hydrates, nourishes and protects the skin. It restores its elasticity, tone and softness. The secret behind the beautiful skin. 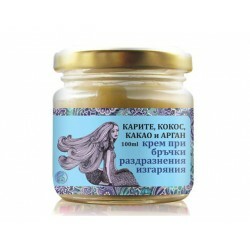 Maintains and restores skin elasticity, soothes and nourishes. Specially selected ingredients of the cream moisturize, protect and defend the skin from irritation and adverse environmental impact. Maintains skin hydration and delivers silky smooth feel. This cream has a beneficial effect on sensitive skin, and further improves the elasticity. Gentle cream with a delicate texture and a specially developed formula with soothing properties for daily body care. Designed for sculpting and tightening of the bust. Sculpts and shapes the bust, nourishes and tightens the delicate skin, stimulates and moisturizes tissues.